Got that, everyone? Snow is going to blanket southern Ontario, even the city of Toronto. 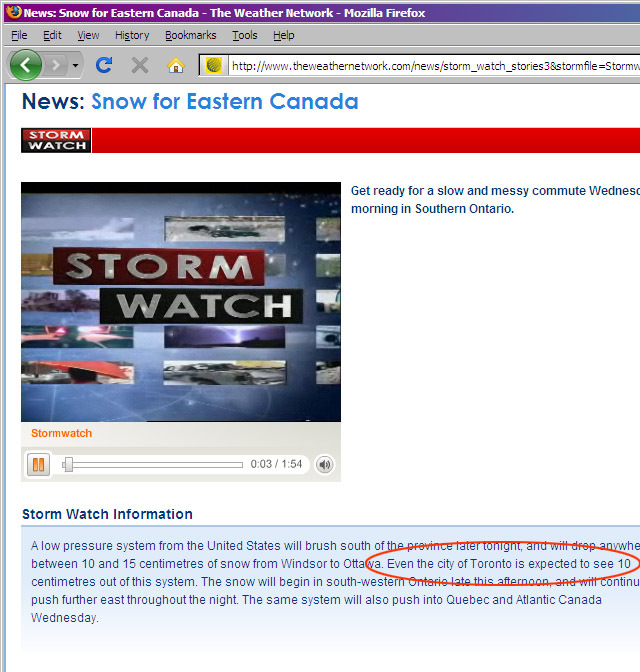 That’s right, the super-futuristic protective weather dome that normally steers all precipitation away from us and maintains a comfortable 21° temperature year-round is malfunctioning, with the result that even the city of Toronto will be snowed upon. The low pressure system, tracking from Windsor to Ottawa will veer as many as no kilometers off its path, ensuring that even the city of Toronto will see at least the minimum amount of snow expected from the storm. Yes Canada, it’s winter out there. Even in the city of Toronto.